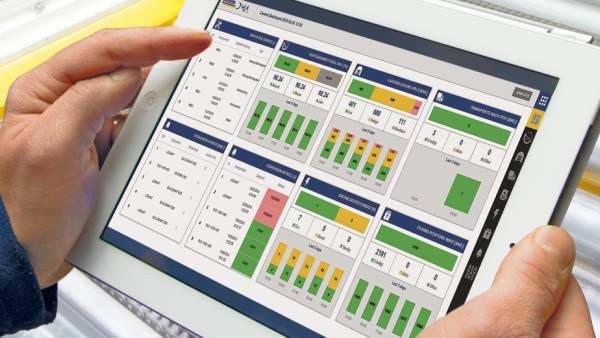 Stöcklin Logistik is a leading supplier of inventory or warehouse management software. 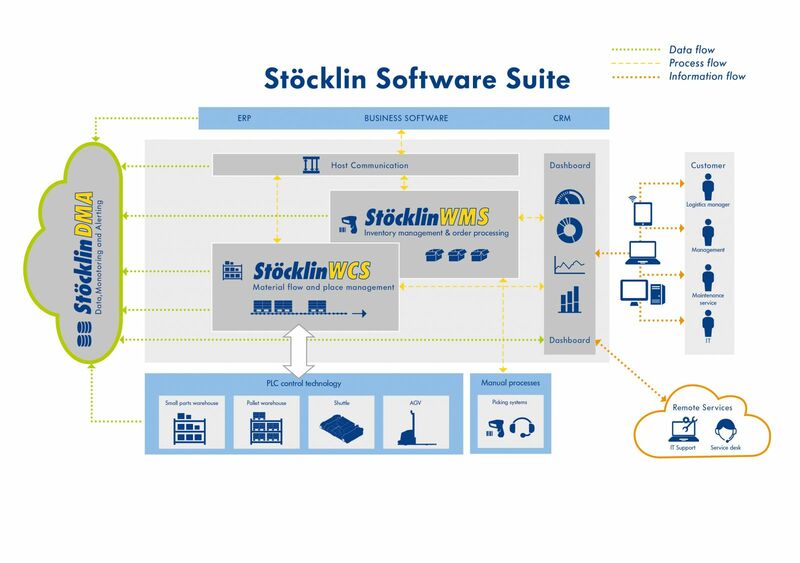 The core modules of Stöcklin’s range of software products include StöcklinWMS and StöcklinWCS, as well as StöcklinDMA, a web-based statistics and monitoring module. During this process it keeps inventory in the storage facilities in which it is installed with optional features such as keeping track of batches, expiration dates and serial numbers. Moreover it executes retrieval orders specified by the host system depending on the configured material selection strategy and observing the specified provision time. 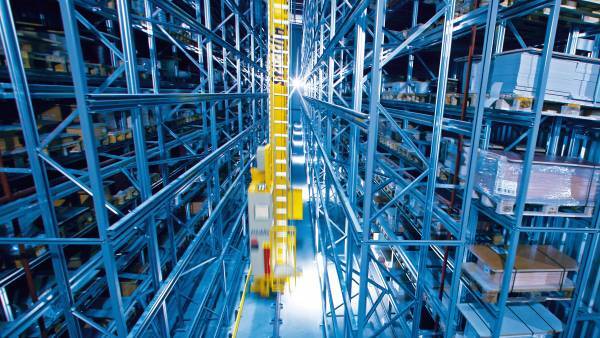 All subprocesses in the retrieval process chain are supported, such as picking, order consolidation, packaging and provision at the ramp. 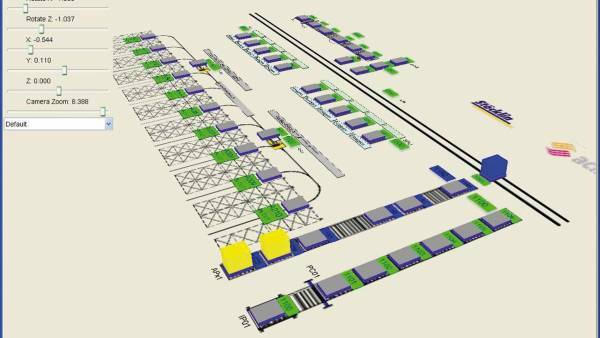 StöcklinWCS, a warehouse management and material flow system for automated storage, can be controlled by the Stöcklin WMS module or directly by a host system using transport orders. Depending on the system delimitation required, the system can manage all storage locations and optimize its performance using intelligent storage, restorage and retrieval strategies, while guaranteeing any required storage restrictions. The heart of the StöcklinWCS is a material flow and conveyor control with control center. The material flow control is equipped with a visualization feature for the conveying system, and, in addition to executing transport orders, also optimizes the travel orders based on the sequencing, unavailable routes, priorities, etc. StöcklinDMA includes a web-based statistics and monitoring module. The statistics module assigned logical identification numbers to various peripheral units. The most important system data is logged continuously, allowing many types of evaluation over selected periods of time. The proactive monitoring feature captures and analyzes the states of equipment for all operations, not otherwise subject to logging. For example, this tool, monitors the entire data network for load, failures, etc. Optimum efficiency and prophylaxis increase system availability. The technologies for Industry 4.0 are ready to go.